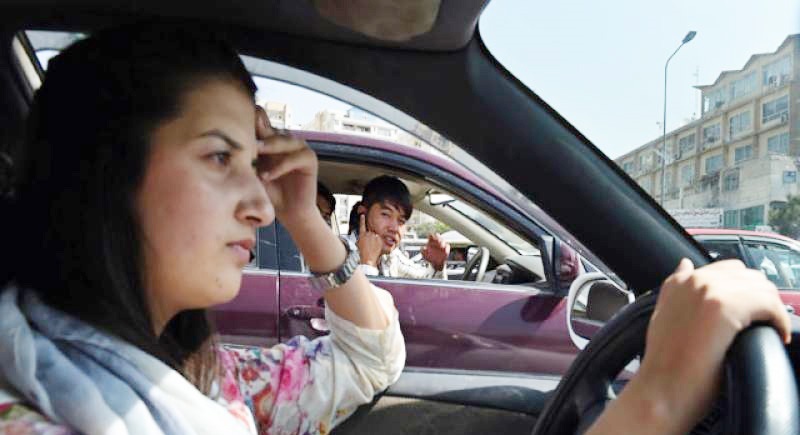 AFGHANISTAN: Since Rokhsar Azamee began driving the streets of Kabul last year, she has endured condescension, ridicule, and even threats to her life with some men deliberately causing “accidents” to harass her. But she will not be deterred. But as the men began to clamber out of their vehicle, she saw her chance to escape – reversing quickly then hitting the accelerator. It was not always like this. Up until the 1990s Afghan women were commonly found behind the wheel – even driving buses, in the big cities at least. Islam does not prohibit women from driving, but laws and cultural norms vary throughout the Islamic world, from Saudi Arabia – where women are banned from driving entirely – to Iran and Pakistan, where women drivers are more common. In Afghanistan, woman drivers are seen as a Western imposition and a rejection of Muslim values, Babrak, an Afghan man in his fifties said in a recent interview. In the early years after the end of Taliban rule that figure hovered around 50, Kabul’s traffic police chief General Asadullah said. Testimony from women’s rights activists who fled the Taliban’s recent brief capture of the northern city of Kunduz revealed harrowing stories of death squads methodically targeting women – an ominous blueprint of what could happen should the insurgents ever return to power. Azamee – who, bareheaded and with the radio blaring, who took a ride through the streets of the capital – is frustrated but determined she will not back down. This has nothing to do with religion but is simply a more extreme form of sexism operating under the guise of Islam to justify itself. That is the impetus for middle-eastern based terror groups-control women to elevate themselves. They are terrified of the concept women may be equal or even superior in some respects. Hmm and who are using these prostitutes? Aah that will be the immoral and hypocritical muslim men, probably smoking dope, taking drugs and drinking alcohol whilst preaching higher morality to everyone else!